I have rather long hair. 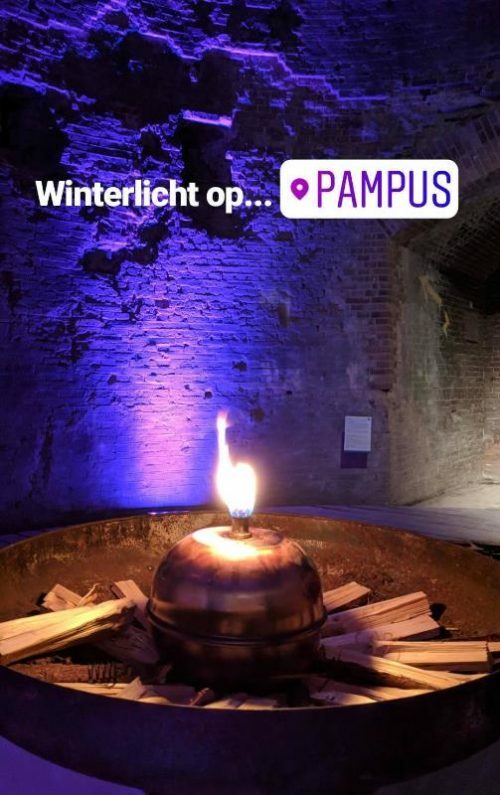 At around 3 pm on Sunday, I looked at the tickets to Winterlicht op Pampus to find out where I was supposed to be going and when. “The boat will pick you up at Bert Haanstrakade 2008,” read the helpful instructions – I assumed we’d be setting off from one of the piers at Centraal Station. Then I saw the words “IJburg” and “4:30 departure” and had a minor heart attack. Fortunately, my OV chip card got me across town in around half an hour and I was ready to board the ship early. More fortunately still, the boat’s cabin is heated – which is just as well as we lasted all of five minutes out on the deck to take this photo. 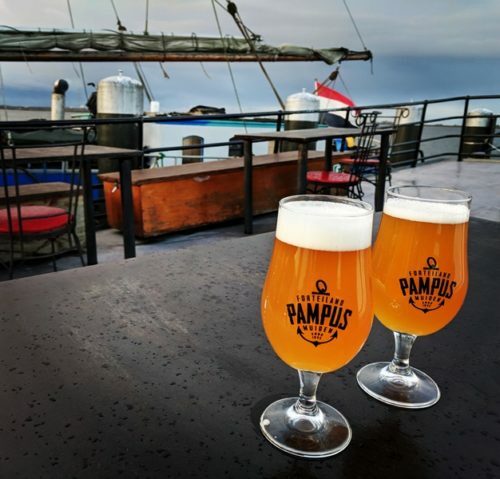 Still not having done a lot of research by this point, we sat back to enjoy our beers (Pampus’s house brew is a tad citrusy, but still full-bodied enough to drink in winter) and wait to discover where our voyage would take us. Fifteen or so minutes later, we were in the middle of the IJmeer ready to dock at the tiny fort island curiously known as Pampus. Once on dry land, we were handed a cup of hot apple cider (much needed – it’s an exposed little place) while we listened to a brief history of the island’s uses (mostly wartime defence, as you’d imagine) and its transformation into the attraction it is today. At this point, we were given two choices: explore the fort by ourselves, finding various small dishes and drinks along the way; or follow our fearless leader down into the depths of the fort to continue the tour. We took one look at the dimly lit rabbit warren of corridors and hallways (see point 1 above) and decided to play follow-the-leader. After the beer and the apple cider, our bladders got the better of us and we broke away from the group to go back up to daylight and find the toilet. Ten minutes later, we were still running around attempting (and failing) to retrace our steps – it seemed that my co-adventurer had just as poor a sense of direction as I did. By this point having seen the inner workings of the fort (presumably several times), our bellies were rumbling and we began our hunt for the promised sustenance. Time was ticking, and we knew we were supposed to make our way back up to the Pampus Paviljoen, near where we’d docked, soon after 6 pm. Needless to say, we got lost for another ten minutes – perhaps the fact that we’d had three drinks by this point wasn’t helping. 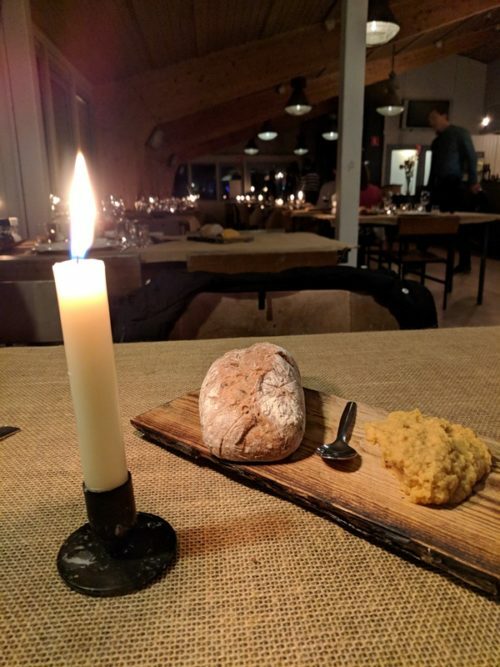 Anyhow, crashing on… After some bread with sweetly spiced hummus, we moved onto our main: three classic Dutch potjes filled with game stew, winter veggies, and pork belly with mash respectively. 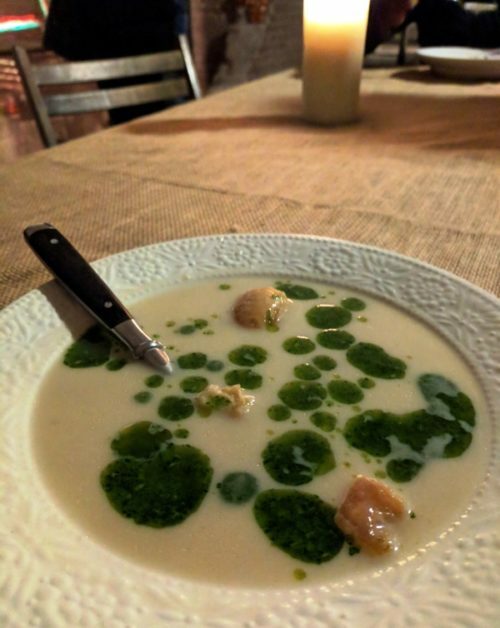 It was food your Dutch grandmother would make (if you had one): simple and unfussy but deeply comforting. Dessert was a who-dropped-the-lemon-tart imitation, which I’m not quite sure worked in this context. But the flavours were fine: the cream not too sweet and the berries tart. 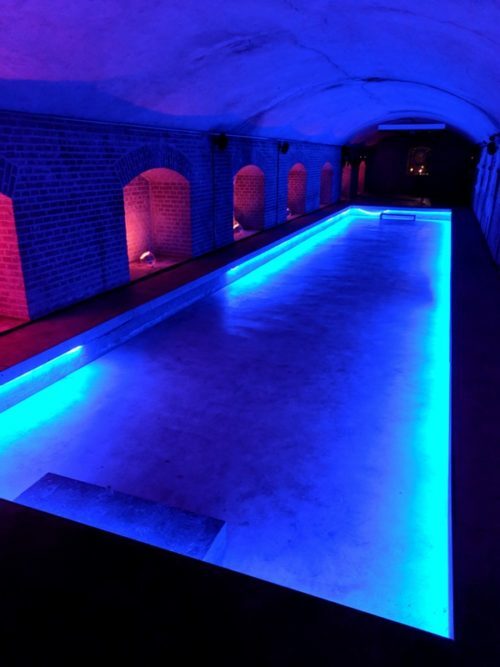 Under normal circumstances, the whole experience (boat ride, fortress tour, all food) would set you back €62.50 per person – beer and wine is extra. 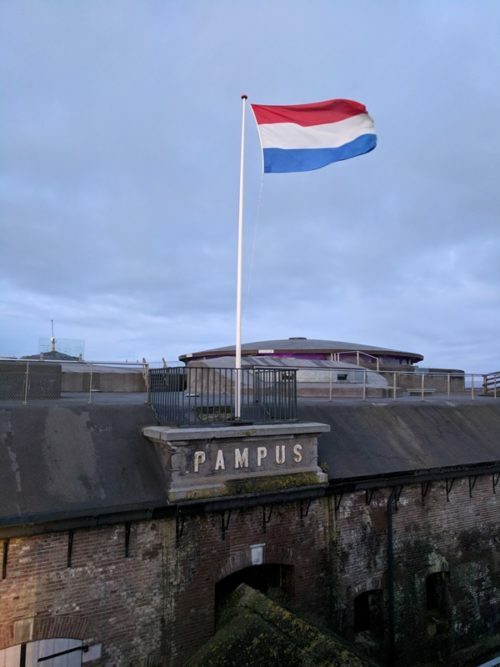 But as I mentioned at the start, I was a guest of the Pampus events team; the food and service I received, however, were exactly the same as any other customer as far as I could tell. Take warm clothes and (if you’re as hopeless as I am) a compass. If you’ve not yet learnt the lingo, take a Dutch-speaking friend – the tour itself was in Dutch, although all staff presumably speak English as well.